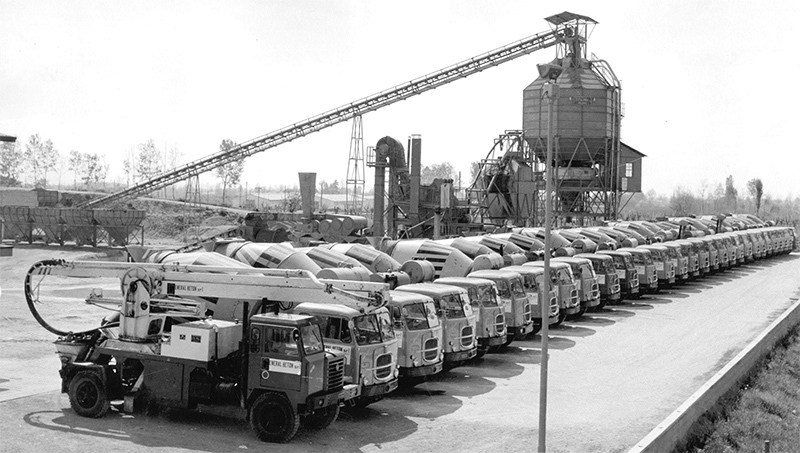 General Beton Triveneta Spa was born in 1967 starting with the first productive unit in Cordignano, very close to the headquarters founded by Mr. Giovanni Tonon. They were the pioneering years in Italy, where the ready-mixed concrete was moving its first steps. Very strong was the spirit animating that period, whereas tooling and skills were still unsatisfying. New plants were then developed, allowing the Company to serve progressively the eastern part of Veneto and the entire region of Friuli Venezia Giulia, from both a strategical and commercial point of view. Thanks to the acquisition of other Companies such as Calcestruzzi Friuli Spa, Comand Spa and La Nuova Calcestruzzi Spa, today all joint in the mother –Company by Corporate merger, General Beton Triveneta Spa reinforced and broaden its footprint, becoming a reference in ready-mixed concrete industry. The Company has always made a strong and precise commitment: Quality, in its full meaning and expression, related to Product, Service and After-Sales support. It was exactly that spirit the driver of choises and initiatives of General Beton Triveneta Spa, especially during the last decade of the past century, gaining appreciation and admiration nationwide. The efforts to improve its structure and organization during these years have been multiple (for example, UNI EN ISO 9001 Certification, obtained from a qualified entity and actually guaranteed by ACCREDIA), and numerous the one promoted to prepare the personnel (designers, works supervisors, manpower, public and private contractors etc). A leadership which is universally recognized. We work for the Company, but above all for Customer Satisfaction and Community prosperity: this is the spirit that animates us every day. Starting for the 90s, know-how and capabilities have been transferred also outside Italy, such as in Poland, Romania, Tunisia and China. Italian business model and style have been exported, trying to set the values of Humanity, Environment and Society respect as top-priority objectives in daily activities; we are happy and proud of it. But General Beton Triveneta Spa is synonymous not only of ready-mixed concrete: from several years we are present also in the industry of reinforced steel bars, aggregates quarries, and we manage the unique authorized landfill for materials containing residuals of asbestos in the north-east of Italy.